photowannabe: ABC WEDNESDAY LETTER " K "
ABC WEDNESDAY LETTER " K "
It seems that the weeks roll around so quickly. 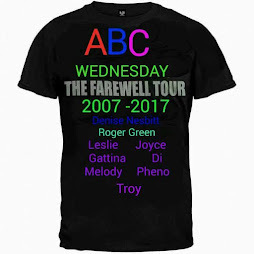 Here it is again, ABC Wednesday. Today's letter is " K ". My first photo is one of my favorite CD's. Of course, I am partial, since it is a CD that my son and his wife sang on. My son sings bass and my daughter in law sings soprano. Their group was called KINDRED Spirit. This is a blast from the past, circa 1990. I wish you could all hear this...it's still terrific after all these years. Here's a shot of the Circle K gasoline sign taken in Las Vegas. posted for ABC Wednesday Letter " K ". Do your family members sing still? How wonderful to have a CD! Nothing better than good Christian music. It such a part of our worship! I indeed would love to hear it? Can't you upload it in your blog or a youtubechannel ? is circle K in Vegas different than circle K other places? Would love to hear the CD - I have a son who sings with a couple of church choirs and it is such a pleasure to hear them. Good to know your son and daughter in-law has performed in a song. Did you take the Circle K in Vegas pic Sue? I like the name of the band. And, that's a cool photo of the Circle K.